The department I work for is Mental Health for Substance Abuse. On a daily basis, I attend meetings that pertain to projects being run by my department. We discuss the tasks that need to be done for the project, and my supervisor assigns everyone specific tasks with deadlines. Sometimes, the work will be reevaluating data for a specific book or editing documents that go along with the book. I also might conduct literature reviews on topics related to mental health and formulate fact sheets to be published in the future. I also attend seminars and meetings, and take online courses related to the organization. I worked at a neuro hospital two summers ago and published a case report that dealt with a patient in Nepal. The internship last summer was at an NGO that worked with mental-health patients from low-income families to help them become socially integrated into society, again, in Nepal. As this is my last summer before graduating college, I hope I can find a job in this sector or a paid internship afterward. The WHO is associated with countries all around the world, and learning about how this organization works and what type of work they do has been the most valuable and eye-opening experience. Internships are the best way to gain experience outside of a classroom. You can learn more at a two-month internship than you would reading a textbook for a semester. It's a great way to find out what you like, and it can help inform your future. It has helped me understand the value of my work and the importance of hard work and dedication. I am prepared to take over my senior year and work on my classes as well as career planning during my time at Dickinson. This internship also has prepared me to decide what I want to do after graduation and how I want to do it. I hope to be able to work and gain more experience in the sector of mental health after graduation and then pursue my masters and Ph.D. in public health. 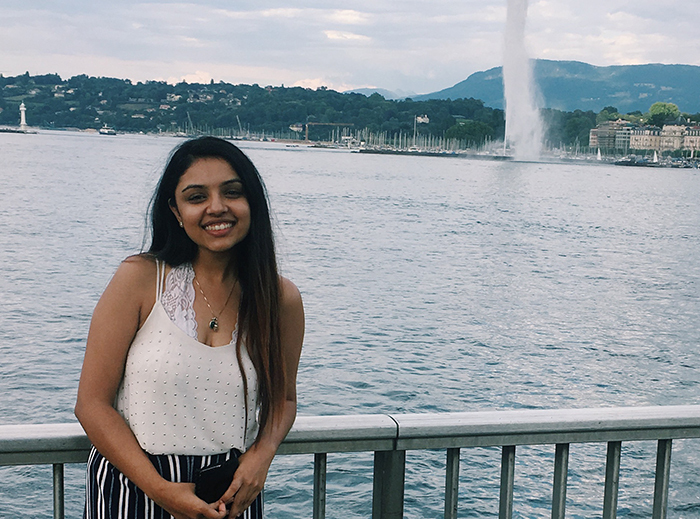 Khanal's internship experience at the World Health Organization is supported by a Dickinson internship grant. Learn more about internships at Dickinson.